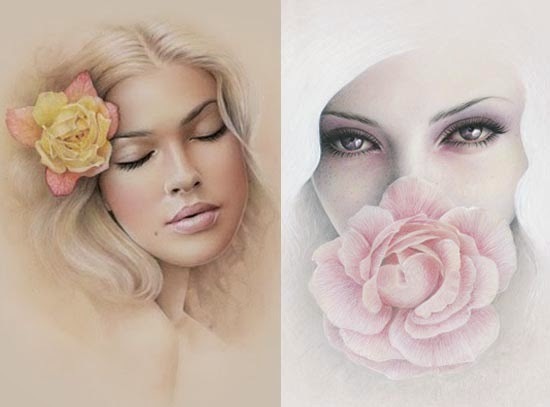 Creative Sketchbook: Bec Winnel's Natural Feminine Beauty! It is my pleasure to share these breathtakingly beautiful portraits with you today. 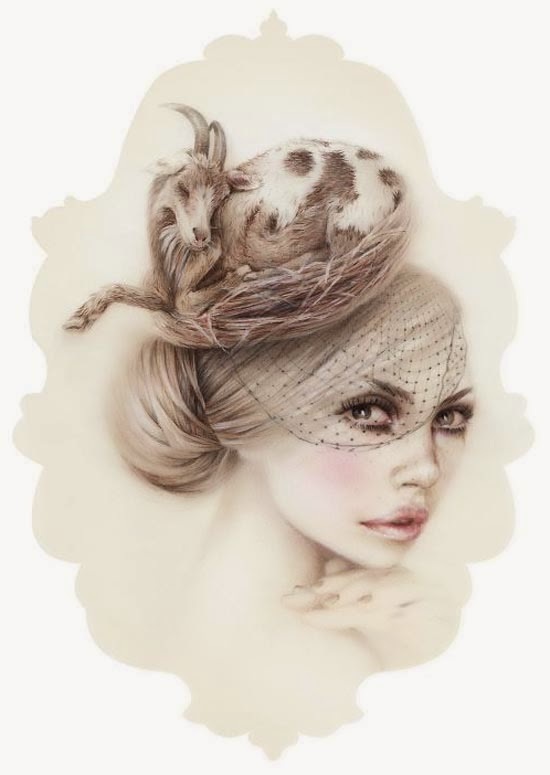 Bec Winnel is a very talented Australian who artist captures precise intricate detail by incorporating a range of artistic media including pencil, watercolour, pastel and metallics. 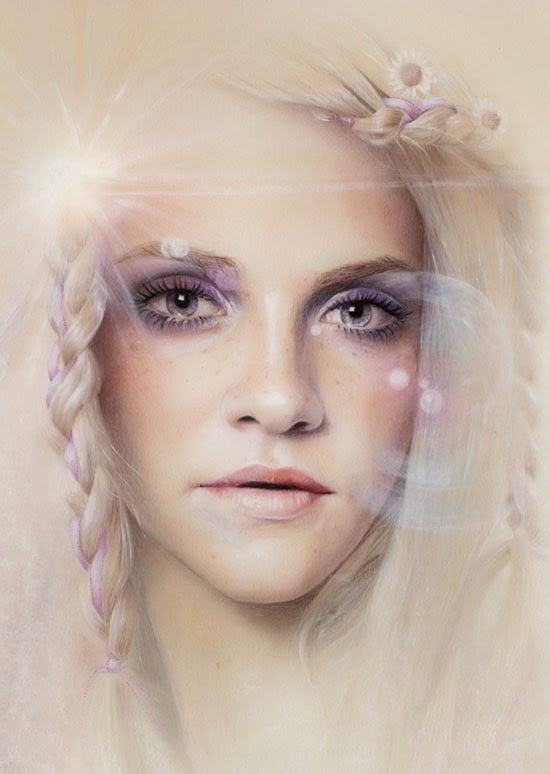 Bec’s work is dream like, she captures feminine beauty and romance in a magiccal and imaginary way. 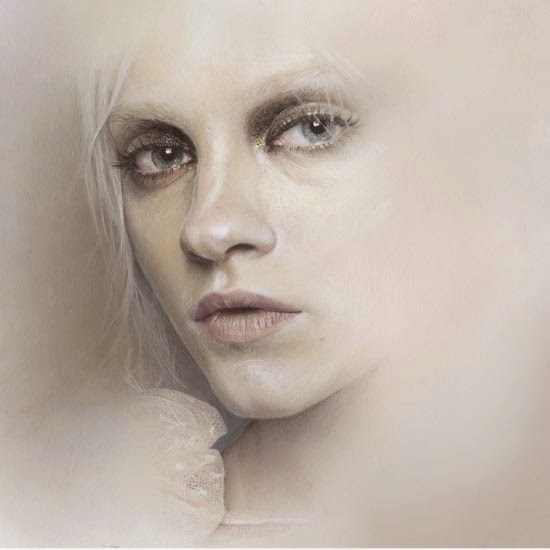 Subtle and muted pastel shades merge seamlessly in her strikingly accurate and stunning studies. 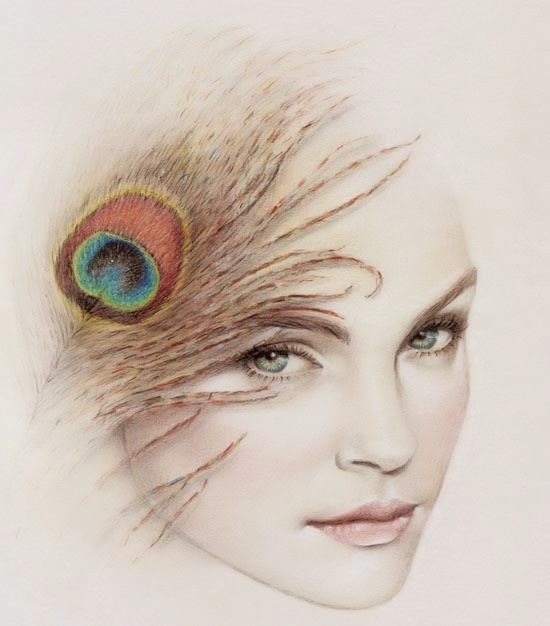 The interesting inclusion of delicate feathers, twinkles of light and beautiful flowers make her work individual and quirky. Click here to view her website and Tumblr or follow her on Twitter here!